Free Spirit Siberian Rescue rescues Huskies and Husky Mixes in animal shelters, in immediate danger of being euthanized. Unfortunately, we cannot accept animals needing to be placed by private owners. However, we can list your adoptable pet as a private rescue animal. For a $25 donation, we will list your pet in our Private Rescue section, as well as in our Available Pets search process. The donation fee helps to offset our web maintenance and hosting fees. The success rate of the listings on this page is very high. 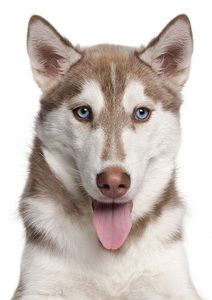 Other shelters or rescues may also send any adoptable Huskies or Husky mixes to be posted. We kindly ask that you Contact Us when the animal is adopted by using the form and selecting "By Owner Listings" as the subject of your contact request. If you would like your pet to be listed on our site, first make the $25 donation below. A representative will be in touch with you to request any additional information, as well as photos of the animal. Upon verification of payment we will list your pet immediately. Free Spirit Siberian Rescue does not guarantee or warrant any animal's health, temperment, or information listed within any of the Private Rescue Pet listings. All information presented for Private Rescue listings is done so by the person/shelter offering the animal by owner. You can contact the owner of a Private Rescue animal by using the Contact Us form and selecting "By Owner Listings" as the subject, or by submitting our Adoption Application and selecting the Private Rescue pet when the appropriate criteria asks for the pet you are interested in. 100% of your donation is used towards the Free Spirit Siberian Rescue. ©2019 Free Spirit Siberian Rescue. All Rights Reserved.